Who does not love to travel? All of us love travelling places. But if we take little preparation before starting our travelling, we can pass some enjoyable moments. Some of them are just too fun to miss, others add extra convenience to our experience, yet others open up new realms in the world of technology you’ve guessed it we’re talking about travel gadgets. These travels Gadget are lifesaver for today travellers. At present you will get many innovative gadgets on the market that can make your travelling fabulous than ever before. These are the cool travel gadgets ready to make your trips safer, easier or simply more enjoyable. FOOT WARMER: the foot warming insoles are one of the most amazing travel gadgets that you can take with you. If you are going to travel long distance on foot you will feel severe pain in the feet. Moreover you may feel problems in the ligaments, if you do not take proper care after walking or running long distances. For this you can take foot warmers (insoles) with you. They contain thermal technology that will make your feet warm. A POWER BANK is a must with all the travel gadgets we carry with us. There are some really cool solar energy power banks too, so you don’t have to find a charging slot and electricity every time your battery dies. There are a lot of compact power banks available. 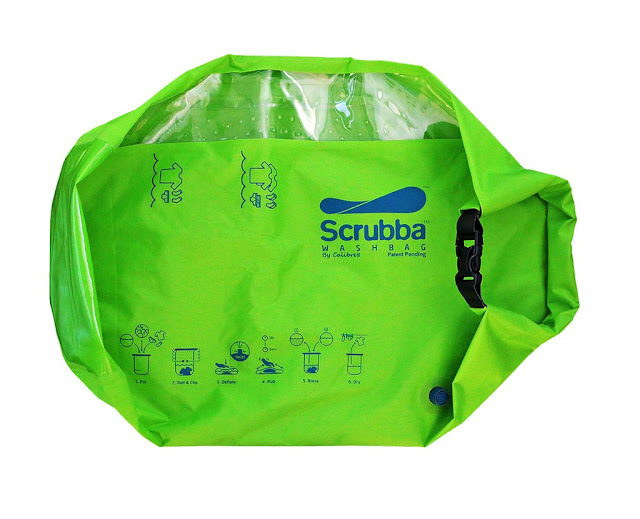 SCRUBBA WASH BAG is a pocket washing machine equipped with a flexible washboard, this lightweight pocket size wash bag will not only help you do your laundry anywhere on the road, but also save your money and time. With only 2-4 litres of water and a bit of washing liquid you’ll have your clothes fresh and clean in less than 3 minutes. THE OUTDOOR SINGLE TUNNEL INFLATED BUBBLE TENT is made from high quality, durable materials; this inflatable bubble tent is a superb travel accessory for camping and outdoor enthusiasts who enjoy stargazing. If you intend sleeping in as bubble or dreaming under the starry sky, minus the bugs and mosquitoes, interest you then this nifty transparent structure might be exactly that you are looking for. The bubble tent is spacious enough to accommodate a family and comes with included blower, repair kit and glue. ELECTRONIC LUGGAGE SCALE. It’s better to be sure rather than guessing your luggage. You don’t want to pay all that extra money at the airport for extra luggage, so pack light, shop right and this electronic luggage scale will keep you grounded. THE SAND LESS BEACH MAT: it is especially for all beach lovers. This accessory is impossible to cover with sand. This sand less beach mat is perfect for a fun and stress free beach outing. Finally no more sticky sand and enjoy yourself while lounging in the warm sunshine, reading book or spreading out a picnic. WORLD’S SMALLEST STEAM IRON: this mini travel steam iron is the smallest of its kind in the world; this compact device is about the size of a computer mouse. This steam iron gadget is useful for business travellers who are on the road and need to remove the inevitable wrinkles from packed clothing. BACKPACK DRINK DISPENSER: this dispenser is ideal for outdoor gatherings, music festivals and sports events, the ingenious Tailgater Dual Tank Backpack Drink Dispenser allows you to kick off the party by pouring mixed drinks for friends and family straight from your backpack. FEMALE URINATION DEVICE: Travel is not always glamourous, especially when seeking to experience the world on a budget. Unsanitary hostel bathrooms, camping sites with poor facilities and dirty public toilets are just some of the problems travellers have to deal with while abroad. Well designed exclusively for women Go Girl solves many of these issues by allowing girls to pee while standing up. This cool smart hygiene product made from medical grade silicone is small enough to fit in your purse. So definitely take these entire cool gadget while on business trip or on a vacation.